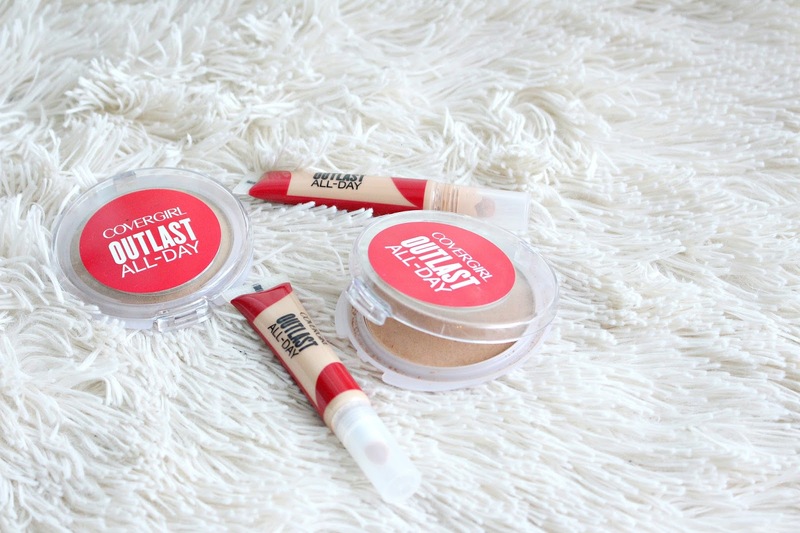 Covergirl makes some of my favourite foundations so I was really excited to try the new Covergirl Outlast All Day Concealer. You should be able to find it on the permanent display for Covergirl products. It retails for about $9 to $13 and contains 10mL (which is about average, slightly above). There are 6 shades in the range from Fair to Deep, although I haven't seen much of the deeper shades available. If you'd like to see the concealer in action I used it in a Trying New Drugstore Makeup video on my YouTube Channel. 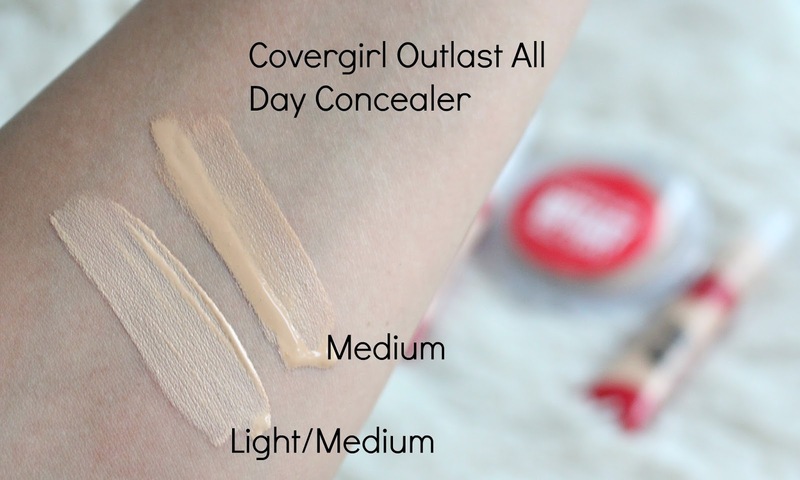 The Covergirl Outlast All Day Soft Touch Concealer claims to instantly erase the appearance of dark circles and blemishes with a creamy, smooth texture. It will not clog pores, and will last all day. It has a slanted doe foot style applicator that you squeeze the product through. I like this for application and I feel like you'll be able to use every last drop of the concealer without having left overs you can't get to. I wear the shade Medium under my eyes, it has a brightening effect, I'd need to go a shade deeper for concealing blemishes. For reference I'm about an NC42. 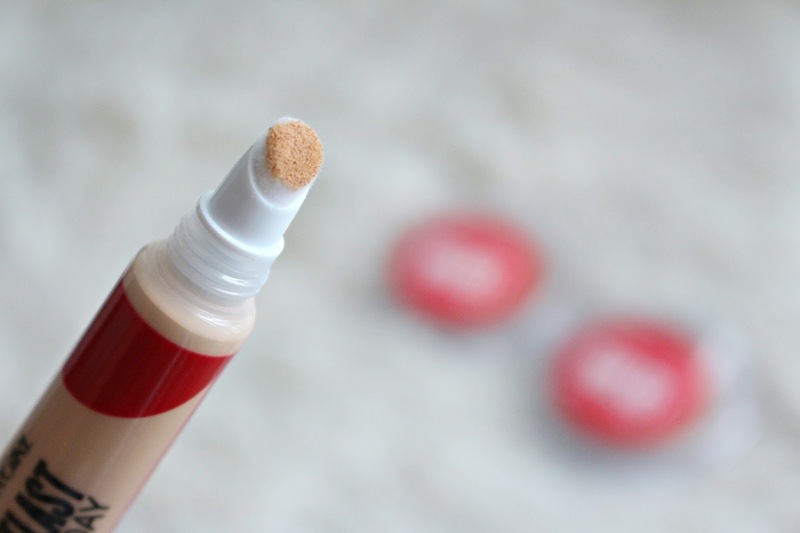 That being said I would not use this concealer for blemishes, I like something with a thicker texture that I feel like is going to set and last on a spot. I find the texture to be light and creamy, not thick or cakey. I keep going back and fourth about wether or not I like it. I definitely think for best application you need to apply it to your undereye, give it time to set then blend out with your fingers. When I used a beauty blender and brush it totally disappears. Even with my fingers it is dicey on application sometimes. I really, really want to love this, because sometimes I love this. Currently, still on the fence. If I lost it, would I run out and repurchase, nope. Like anything, it is going to be totally personal preference.